Cincinnati Patio installations are our specialty. 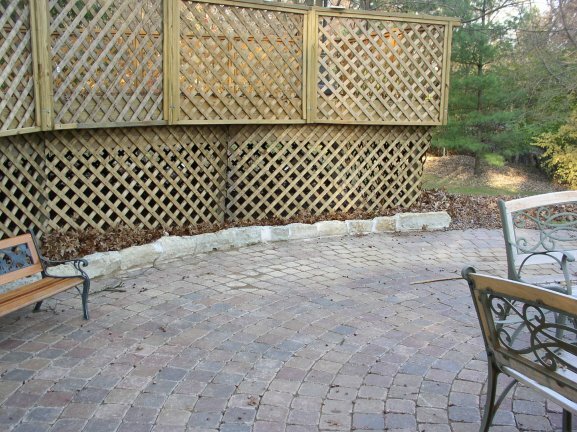 Whether the patio is constructed from concrete, flagstone, stamped concrete or paver stones, we are the leader in designing and building patios in Cincinnati. 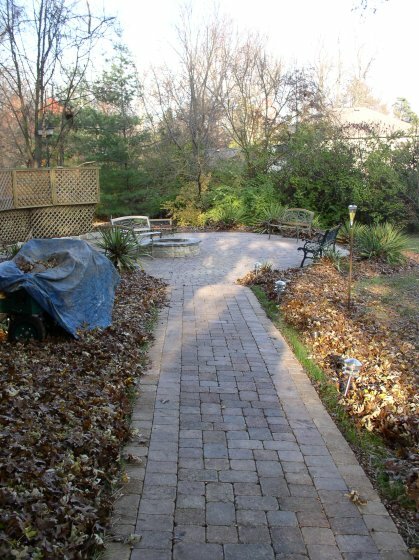 We have built thousands of square feet of patios and walks in Greater Cincinnati. Square, rectangles, and even circles. Figure eights and unusual shapes to fit specific needs and uses. 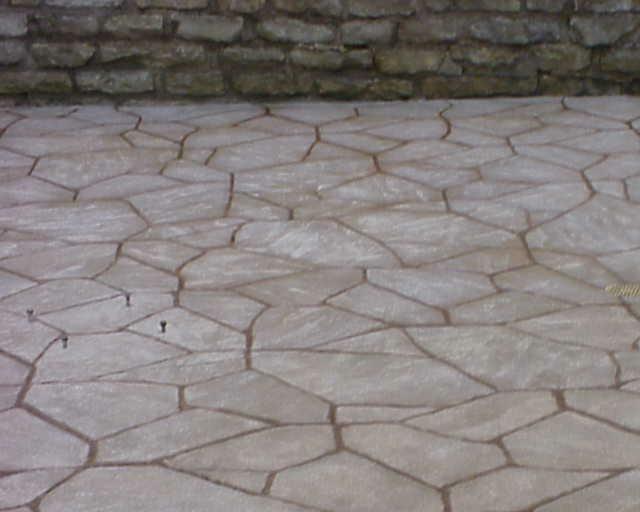 No matter the size, shape or material, we can build a patio that will last a lifetime. 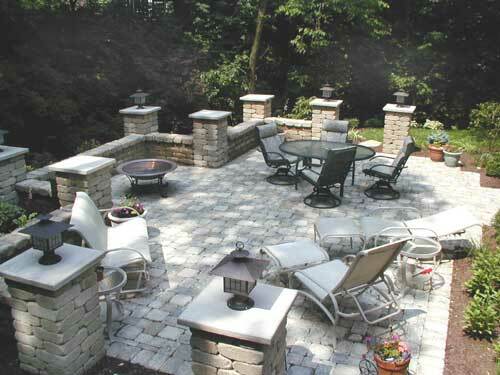 The first step in designing a patio is an overview with the customer to establish what the use is going to be. Secondly, identifying where it should be and out of which material it should be built and then finally the actual design. 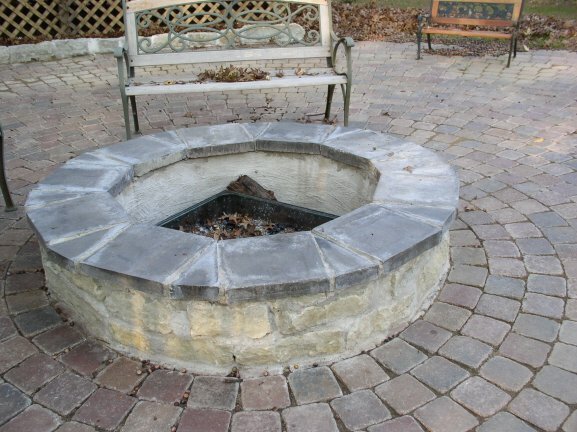 This patio has a firepit in the center, making it the focal point for the homeowners. The type of material used is usually a combination of what the function is going to be and the traffic that will be supported on it. Paverstone patio's are particularly nice because of the flexability there is in the material. If there is a time in the future where there is need for expansion or reconfiguration, there is nothing better than paver stones. They are durable and pleasing aestetically.